« Land Banking-Central Bank of Malaysia Raids Walton International Property Group (M) Sdn Bhd! Have YOU Nominate Your beneficiaries? Most people do not feel at ease when talking about Death but it is a subject that everyone will face at some point in life. Only two thing in life that are certain: Death and Tax! Although it is NOT Compulsory, YOU are Encouraged to make your nomination as soon as possible – you need to be 18 years old and older to be able to make your nomination. It will not be a problem if you change your mind in the future as you can change your nominations any time before you retire. Where nomination has been made, the nominees / beneficiaries do not need a court order to withdraw the Employees Provident Fund (EPF) funds. It is only when there are no nominations that the EPF funds then become part of the assets of the deceased which would then be liable to be distributed together with the rest of the deceased’s assets. A Letters of Administration(LA) would need to be obtained from the Court. Your next-of-kin or dependents may face major difficulties to claim your savings from the EPF if no nomination is done. Through nomination, rest assured that savings in your EPF account will be distributed to your loved ones the way you would have wanted it to be when you are no longer around. EPF pays out within 14 days the funds of members who have nominated their beneficiaries when Proper and complete application by the nominees. Nomination takes the EPF funds out of your assets. That means, once you nominate beneficiaries to your EPF funds, the EPF funds would not be deemed as part of your general assets which may be liable to be used to satisfy your creditors. Protection to your nominees is assured the moment your nomination has been registered. Not even a Will could revoke the nomination made. The step to do the nomination is Easy. Just visit the near EPF office to complete Form KWSP 4 (AHL). If you wish to change or make a new nomination or make any amendment to your existing nomination, just submit a new nomination form. If you have forgotten your nominated beneficiaries then fresh Beneficiaries nomination can be make in any EPF branches. By doing so, all your previous nomination will be revoked automatically. Please NOTE marriage DO NOT revoke your nomination! A EPF contributor with a non-working wife and 5 school-going children. He died unexpectedly due to Road Accident. He has been contributing to the EPF since he started work as an Doctor about 35 years ago and have a sizeable amount of savings. However, when the widow approaches the EPF for the savings, she is informed that he had named his 1st girlfriend as the beneficiary and never got time to updating his nomination. Therefore, the widow is not entitled to a cent of the money even you have a will! The saving in EPF will NOT be Valuable if YOU do NOT make any nomination if YOU are DEAD! If YOU have not do any nomination, do IT NOW! Save your love ones from all the troubles and misery when we are not here! This entry was posted on Monday, March 30th, 2009 at 6:33 pm	and is filed under EPF, Insurance, Secret, To Do. You can follow any responses to this entry through the RSS 2.0 feed. Both comments and pings are currently closed. does this able to do it online? I mean change the nominate all over the internet? What I understand, EPF need the member to be present at EPF office for naming the Beneficiaries. I guess all money-related beneficiary i.e.insurance also apply the same concept isn’t it? One should alert and always update his/her wills, if any. Yes….Same concept apply…update your will also..
Can a Bankrupt nominate to his wife? Any reader here can answer? You have pointed out a very important fact. Not nominating or not changing nominees puts our loved ones in serious trouble after we are gone. I have done my nomination and brought my eldest children with me when I did it. Yes…Do this not only to EPF…. I have done mine long long time ago. I think will writing will cover all aspects, not sure about this, any expert can give their view? Please checking your EPF nomination again if you did it long time ago. I read of stories that some claimed their EPF nomination was lost(wipe out) when EPF upgraded their new computer system. WHEN you start working, chances are you would list your father or mother as your beneficiary for your Employees Provident Fund (EFP) account. When you get married, the logical thing to do would be to nominate your spouse as your beneficiary. Common sense, however, is quite uncommon when it comes to simple housekeeping matters like this. I know of a friend, in his 60s, who still has his mother, now in her 80s, as his nominee. I have advised him to get his wife’s name into the records, since they have no children, but he always has something more important to do. Some people have learnt the hard way that the EPF will only give out the money to whoever is listed as the nominee. Nothing in their will, nor last-minute instructions to immediate family members, will supercede what is officially on the EPF records. Which is why I did not simply dismiss an e-mail that had been circulating for the past few months about how the nomination list on the EPF database has been compromised, and that names have gone missing. The e-mail is probably not genuine but if it stirs you to check on your latest EPF information, then it would have achieved its purpose. Last week, my wife and I dropped by the EPF office to check and we were thankful that the information was correct, although my name had been misspelt in my wife’s account. We took the opportunity to make a fresh application to include our two boys as nominees as well. What is interesting is that there is now an option for the nominees’ names to show up in the annual statements and this can act as a reminder that your records are up to date. I find it strange that this has not been made compulsory but I reckon some people still like to keep their family members in suspense. Take note that your EPF funds can be given to just about anybody as long as he/she is a “natural person” and you happen to have the person’s IC number. I mention “natural person” because the EPF, like insurance companies, has a clause that precludes “non-persons”, such as charities, organisations and associations, to be named as nominees. So you can forget about naming your political party, or your cats and dogs as well. A doctor in Kuala Lumpur wrote in The Star last Friday about his dilemma in not being able to name his favourite charities as nominees. Although he has no dependents to bequeath his EPF money, the law is still the law. WE REFER to “Irked over beneficiary nominee rules” (The Star, June 12) and wish to clarify that life insurers only allow nomination to be made in favour of “natural persons”. Section 163(1) of the Insurance Act 1996 states: “A policy owner who has attained the age of 18 years may nominate a natural person to receive policy moneys payable upon his death under the policy by notifying the licensed insurer in writing the name, date of birth, identity card number or birth certificate number and address of the nominee when the policy is issued or after the policy has been issued, together with the policy for the licensed insurer’s endorsement of the nomination of the policy”. The benefit of Section 163(1) of the Insurance Act 1996 is to expedite payment of policy moneys to the relevant people , without the need to wait for the Grant of Probate or Letter of Administration. 1. Absolutely assigning the benefits of the policy to the “non natural person”. 3. Stating in his/her will the manner in which he would like to the proceeds of his/her life insurance policy to be administered upon his death. Insurance companies will then pay the policy monies to the Executor of the Estate upon production of the Grant of Probate and the Executor in turn will be in a position to administer the policy monies accordingly. Executive Secretary, Life Insurance Association of Malaysia. The nomination in EPF and insurance will supersede that which is written in the Will. Having said that, it is also good to write your beneficiary in the Will as backup in case the nominee dies together or die earlier than you & you have not updated your EPF nomination to reflect this. A well written Will has backup beneficiaries that allows them to claim your EPF & insurance money as well. 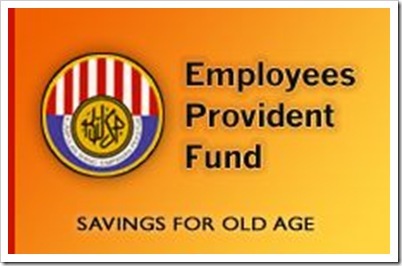 KUALA LUMPUR: The Employees Provident Fund (EPF) is launching a campaign to remind members to nominate beneficiaries for their savings. Its general manager for public relations, Nik Affendi Jaafar, said the campaign was necessary considering that only 23 percent of the 12.4 million EPF members had nominated their beneficiaries. “As your nomination determines who will receive your EPF savings, it can offer some financial protection to your family should death suddenly occur. “Nomination will not only ensure speedy payment to your family, but will also help to spare your loved ones unnecessary suffering,” he said in a statement here Sunday. He said it was also vital for members to review their nomination of EPF beneficiaries from time to time to ensure that it was up to date. “This is especially important if you experience any major life changes, such as marriage, divorce or birth of your children,” he added. According to Nik Affendi, without a nomination, members’ next-of-kin would be required to produce documents, such as Letter of Administration, Letter of Probate or Distribution Order, from the relevant authorities to substantiate their claims. The process of obtaining these documents would be time consuming and sometimes costly, as a fee was often imposed by the issuing authorities, he added. Nik Affendi said that to nominate, members would need to only fill the KWSP 4 form and submit the completed form to any EPF branches, adding that the form could be obtained at any EPF branches or downloaded from the EPF website at kwsp.gov.my. In the case of Muslim members, the beneficiary named would act as an administrator (wasi) who would be responsible for distributing the savings in accordance with Faraid Law, he added. Starting from January 3, the Employees Provident Fund (EPF) would offer 1Malaysia Retirement Savings Scheme for those self employed including farmers, fisherman, hawkers, taxi drivers, petty traders and business owners. The 1Malaysia Retirement Savings Scheme announced by Prime Minister Datuk Seri Najib Razak while tabling the 2010 Budget on October 2009, is for all who are self-employed and have no formal retirement savings scheme. EPF’s Chief Executive Officer Tan Sri Azlan Zainol said yesterday that the Government was sensitive to the fact that adequate retirement savings remains a major concern for all Malaysians and in particular the self-employed, especially those without a fixed monthly salary. “The 1Malaysia Retirement Savings Scheme offers this select group of contributors tremendous flexibility in determining how much they could afford to save for their retirement,” said Azlan in a statement. Azlan said that unlike the conventional EPF savings scheme, the amount contributed into the 1Malaysia Retirement Savings Scheme is entirely at the contributor’s discretion. However, Azlan said members were encouraged to contribute a sum of money regularly into the retirement scheme. Azlan said that those interested to apply for the scheme can visit the EPF offices nationwide and fill in a form or download it from kwsp.gov.my from Jan 3. As for those who are not EPF members, they would need to register with the EPF first. Savings for the scheme can be deposited through cash or cheque. “Savings under the scheme is eligible for withdrawals as governed by present EPF withdrawals procedures and conditions,” said Azlan. PETALING JAYA: The main reasons for the accumulation of “frozen assets” include heirs being unaware of their rights under Islamic laws, with some not knowing about their inheritance or their loved ones dying without leaving any will. Syariah lawyer Khairul Anwar Rahmat said that in some cases, cash and assets were frozen because no heir came forward to claim their inheritance; or there were disputes over the rightful beneficiary. “Some cases take dozens of years to resolve. Some remain unresolved despite having passed through several generations,” he told mStar yesterday. Most of the frozen assets worth some RM40bil belonging to Muslims were in the form of land, property, company and corporate shares, ASB shares, Tabung Haji and unit trust accounts and cash, Khairul said. He added that many properties of Muslims were also frozen because of their lack of knowledge in will planning and writing. “Properties and assets can be bequeathed to heirs under the faraid law as provided in Islam. “Administration of the estate can be better planned if the individual writes the will,” he said. Khairul added that the probate also became complicated when the heir did not know the extent, the amount or the location of the property left by the deceased. Disputes also arose among families due to a lack of knowledge in probate matters, or when beneficiaries were not aware of the deceased’s assets. Khairul said estate administration, will writing, legacies, bequests or distributions were important things to know about inheritance laws. Otherwise, families could break up or assets be left idle for generations. “Letting this go on would not only affect the nation but also cause problems for the rightful heirs,” Khairul said. He advised Muslims to seek advice and information about inheritance laws early and plan their wills to avoid disputes. When a non-Muslim dies without making a will, his estate will be distributed according to the law, except in the case of insurance and EPF savings, where the nominees are the beneficiaries. AS WE are all mortals, and death often comes like a thief in the night, we owe it to our loved ones to make a will during our lifetime. I would like to advise our readers on the importance of making a will, and the consequences of not making one. 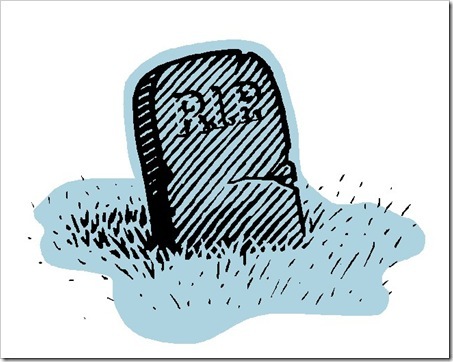 By not making a will, you will not be able to distribute the assets according to your wishes after your death. Instead the state will define who will actually benefit from your death. When a person dies without making a will, he is said to have died intestate. His property is called his “estate”, and his children, his “issue”. The relevant law which deals with the distribution of the property of an intestate is the Distribution Act, 1958 (“Distribution Act”), which only applies to non-Muslims in Peninsular Malaysia. Under the Distribution Act, the word “child” means a legitimate child, and where the deceased had more than one lawful wife, includes a child by any of such wives and any child adopted under the Adoption Act, 1952. The word “issue” means the deceased’s children and includes the descendants of his deceased children. It also includes any child who at the date of the deceased’s death was still in the womb but subsequently born alive. On the other hand, “parent” is defined as the natural mother or father of a child, or lawful mother or father of a child adopted under the Adoption Act 1952. An intestate’s estate will be distributed among his surviving family members according to the Distri­bution Act. The same law applies to male and female deceased persons. Section 66(1) of the Law Reform (Marriage and Divorce) Act 1976 provides that the wife who is judicially separated from her husband at the time of the latter’s death is still entitled to the property of the deceased husband in the same way as a surviving spouse as if no judicial separation had been made, but not vice versa. As for divorced spouses, they remain surviving spouses until the decree (divorce order) is made absolute. The distribution of the estate of an intestate is shown in the accompanying table. (a) brothers and sisters, (b) grandparents, (c) uncles and aunts, (d) great grandparents, (e) great grand uncles and grand aunts. If a person dies leaving no parent, spouse, issue, and any of the family members mentioned, then the whole estate goes to the Government. If the intestate has more than one lawful wife, then such wives shall share among them equally the share which the wife of the intestate would have been entitled to had such intestate left only one surviving wife. Section 7 of the Distribution Act also provides that when the intestate and his/her spouse have died in circumstances rendering it uncertain which of them survived the other, then notwithstanding any rule of the law to the contrary, it will be regarded as if the spouse had not survived the intestate. Also, the above will not apply if the deceased has left a valid will. But, under the Inheritance (Family Provision) Act 1971, the court still has the power to make reasonable provisions for the maintenance of certain dependants of the intestate. However, no such application shall be made to the court where the disposition of the intestate’s estate is such that the surviving spouse is entitled to not less than two-thirds of the income of the net estate and where the only other dependant or dependants, if any, is or are a child or children of the surviving spouse. Similarly, the Distribution Act will not apply in situations where an insurance policy holder has nominated a beneficiary pursuant to section 165 of the Insurance Act 1996 and the nominee has made a claim on the policy moneys within 12 months of the insurance company becoming aware of the policy holder’s death notwithstanding earlier notification to the policy holder. Likewise, under section 54(1)(a) of the Employees Provident Fund Act 1991 and Regulation 9 of the Employees Provident Fund Regula­tions 2001, the EPF Board will pay the EPF savings to a nominee of a deceased EPF member if the latter has made a nomination before his death. Finally, readers should also note that if a person dies intestate, the procedure for applying letters of administration will differ from one who has left a valid will. If the intestate has left an estate consisting wholly or partly of immovable property situated in Malaysia which does not exceed RM2mil in total value, then the Small Estates (Distribution) Act 1955 treats this as a small estate, in which case petition for distribution has to be made to the Land Administrator. Otherwise, all applications for letters of administration or probate are made to the High Court. In conclusion, readers are also advised that they should engage the services of a lawyer to draft a valid will and have it efficiently administered. Do not be hoodwinked by mendacious claims of unqualified will writers that they are experts in this area. AFTER reading “Importance of making a will,” (The Star, Aug 19), I wish to offer some suggestions so that one’s inheritance can be more meaningful to their beneficiaries. While it is good for family members to gather together to hear the will read out by a lawyer, it will be more meaningful and convincing for everyone present to hear the will read out by the benefactor through a voice recording. Although a video recording is better, it can be too much of a hassle and costly whereas a recording studio can capture one’s voice for a minimal fee. It is human nature to rush to a deathbed but many times this has proven futile because family members either arrived too late or the dying person is too weak to mutter any last words. As such, it is necessary for everyone and not just those with properties in their name to record what they wish to say when they are still alive and kicking. Their wisdom, advice and blessings may prove to be more enduring than the monetary wealth they leave behind for their dear ones. The voice from the departed will be felt deeply in their hearts and even touch their souls. Most of us leave behind countless photographs of ourselves which are silent testimonies of our time on this earth. It is time to make your way to a recording studio so that you may one day depart with a smile on your face. How I can get the my nominees list ? More than 50% of EPF members have yet to nominate their beneficiaries which could result in a lot of heartache for the family if the unforeseen occurs. WHEN engineer Farid* died in an accident at the age of 31, it was a shock to everyone, especially his wife Ani*. She had given birth to their first child only a few months earlier and they had just bought a house. Suddenly, Ani found herself saddled with extra financial responsibilities. What kept panic at bay was the thought of her late husband’s EPF (Employees Provident Fund) savings to help her cope with their bills and loans. Her husband had worked since he was 21, tells Ani, and he had quite a substantial amount in his account. “I was already working then, so I could support myself and my son but when my husband and I calculated our budget for a house and the other expenses, we based it on our joint incomes. I needed help to cope financially, at least to trim down our debts’ to a manageable amount. Being told that I not only would not get the money anytime soon, and may even need to hire a lawyer to get it was definitely the last thing I wanted to hear,” she recalls. Luckily with the help of a “lawyer-friend”, she managed to get things processed within six months. According to EPF public relations general manager Nik Affendi Jaafar, only around 40%, or 4.71 million of their 12.9 million EPF members have nominated their beneficiaries (as of June 2011). This can cause a lot of heartache for the family or next of kin when the member dies. Without a nomination, they would have to produce a Letter of Administration, Letter of Probate or Distribution Order from the relevant authorities to substantiate their claim on the savings, and this can be a hassle, says Nik Affendi. With a nomination in place, there is no necessity to go through the inconvenience of having to produce these documents. Although they have received various complaints that the claiming process is too time-consuming with some saying that proof of relationship should be enough for immediate family he stresses it is necessary to prevent fraudulent claims and to ensure that the retirement savings of a deceased member goes to the rightful party. Hence, it is crucial to nominate one’s beneficiary, he stresses. Life is full of uncertainties, he adds, so members should nominate their beneficiaries as soon as they register as a member and reach the age of 18. When members nominate their beneficiary, they are given a notification slip, which they should keep safely or pass on to their next-of-kin. There are cases where the family of the deceased does not even know that they have been nominated as beneficiary. For Muslim members, he reminds that the nominee is supposed to act as an “administrator” (wasi) who will then be responsible for distributing the savings in accordance with the Faraid Law ((Islamic law of inheritance and distribution). However, there have been various cases of abuse, so it is important that you nominate the right person as the wasi. “Unfortunately, once the money is disbursed, it is out of the EPF’s hands. It is not our jurisdiction to ensure that the money is properly distributed,” says Nik Affendi. This is something that Norina* found out the hard way. When her ex-husband passed away recently, she was told by her former brother-in-law, who had been nominated as the beneficiary, that her late husband’s EPF savings would be used to pay off all of the deceased’s debts while the balance would be donated to the poor. Their three children would not receive anything. In another case, a person had named his father as wasi, but when it came to the crunch, the wife of the deceased and children received nothing. There have been calls for EPF to withhold the savings until all the next-of-kin can come forward, but as Nik Affendi explains, they are bound by the legalities of the nomination. The good news is, the legality means that the family members can take the matter to the syariah court if the money is not distributed according to the Faraid Law. As pointed out by Syarie Lawyers Association Malaysia (PGSM) president Zainul Rijal Abu Bakar, the beneficiary has to sign an Akujanji letter that he or she would divide the savings according to the Faraid Law when they receive the money, so failure to do so will make him or her accountable in court. However, as inheritance battles go, this can be time-consuming. There are times when the family of the deceased do not even know that there is savings left behind, highlights Nik Affendi. Sometimes, the next-of-kin is not aware their parents had been working previously and have EPF savings. Although nomination is confidential, the next-of-kin can check the existence of a savings as well as their nomination status by producing the deceased member’s Death Certificate and proof of relationship (birth certificate or marriage certificate). The next-of-kin can go to the nearest EPF branch to check or conduct a search online to find out about unclaimed monies of their deceased’s immediate family members. However, he adds, for security purpose, the online search can only be done through members’ EPF number or identification card number. Searches by name can only be made at the EPF branches. According to Deputy Finance Minister Datuk Dr Awang Adek, as of Dec 31, 2010, there is around RM377.8mil of EPF savings that have not been claimed. This unclaimed monies is said to belong to some 188,733 EPF contributors aged 75 and above, most with an average savings of about RM2,000. After a stipulated time, the money will be transferred to the Registrar of Unclaimed Monies. However, these monies are still with EPF, says Nik Affendi. He says they have made various efforts and utilised all avenues possible to try and trace these members with unclaimed monies or their next-of-kin. In the past, he says EPF had also published a directory of members with unclaimed contributions and placed copies of these at post offices, as well as state assemblyman and union offices. The directory received luke warm response from the public despite awareness campaigns and they were removed. “It must be noted that we had also sought the help of the National Registration Department, the Election Commission and Telekom Malaysia to trace these members. Nik Affendi adds that attempts to contact and alert the members’ next-of-kin (about the unclaimed contributions) were made based on latest information recorded in the system. He adds there are other possible reasons for the unclaimed monies the first being that the individual had forgotten about his or her EPF savings. Secondly, there is lack of enthusiasm due to the fact that the amount is believed to be too small. “What many forget is that the EPF continues to pay dividends to its members until the person reaches age 75, as long as the EPF monies have not been withdrawn. The dividend will still be paid even if the individual passes on before that age,” he notes. PETALING JAYA: More than half the country’s employees who have savings with the Employees Provident Fund (EPF) have yet to nominate beneficiaries, which could result in complications later for their next-of-kin. There are 12.9 million registered EPF contributors, 6.11 million of whom are still contributing, while there are 481,886 active employers registered with EPF. EPF general manager (public relations) Nik Affendi Jaafar warned that failure to nominate beneficiaries could have repercussions for members’ dependants. Without a nomination, the next-of-kin of the deceased member would have to endure a time-consuming process to claim the member’s savings, he said. “Completing a nomination takes only minutes, which requires members to fill up the KWSP 4 Form and submit it to the nearest EPF branch. Otherwise, it can take more than a year to claim the deceased member’s savings,” added Nik Affendi. To encourage more employees to submit their nominations, the EPF recently launched an advertising blitz on radio and in newspapers in conjunction with its awareness campaign from Oct 17 to Nov 5. Promotions were also carried out through EPF service counters and its call centre as well as Facebook and Twitter. As at June, 8.19 million or 60% of contributors had still not nominated their beneficiaries. Nik Affendi said the number of beneficiary nominations went up by some 120% during the campaign period but it remained a challenge to get more members to do so. “As past campaigns have demonstrated, we usually succeed in getting the numbers with the exercise but many forget about it after a few months,” he added. He advised members who have at least RM3,000 in their EPF savings to nominate beneficiaries.